Home / Games / Man Vs. Missiles: Plane vs missile, who win? How to play Man Vs. Missiles? 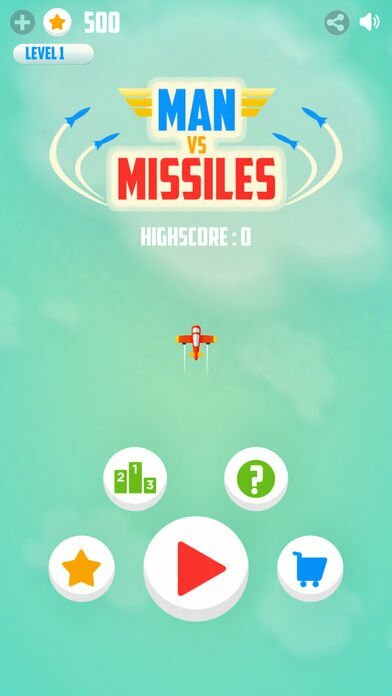 Man Vs. Missiles is the best proof of the fact that, for a long time, games that are simple, no plot, bad graphics, still have loads of downloads on Google Play or App Store. Such games are very addictive and addictive. This unique game is released by Spiel Studios, which allows players to download and play for free on both iOS and Android platforms. 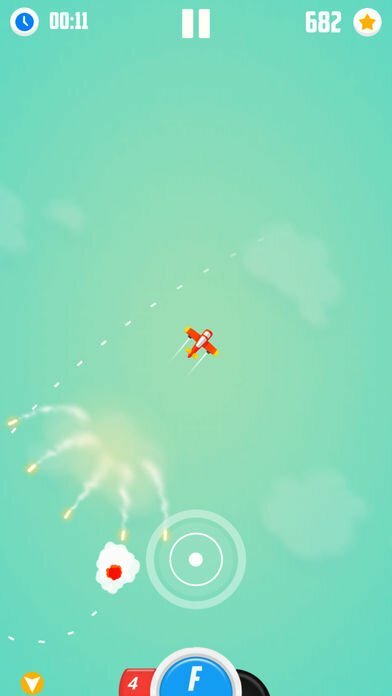 Download Man Vs. Missiles on your device to enjoy this standalone and strange game. As I said, Man Vs. Missiles have no plot. Step into the game; you are simply a pilot guy piloting the unique planes flying in the sky. You do not have to bombard, not bombard or drop rocket destroy the grounds that all you need to do is … survive. Yes, your plane is within reach of other forces. The continuous-range missiles are released, always attached to destroying your planes. Use your skilful flying skills to dodge all, to overcome challenges and be the last survivor. The missiles always fly after you; they will fly according to the trajectory that you fly. Therefore, you can use this point to trick two enemy missiles destroy each other. Missiles will appear anywhere. But do not worry, whenever a rocket appears the screen will show a dark red arrow to point the rocket flying. There is a trick to dodge the missile: Continuously reversing will increase the distance between you and the rocket. If you keep flying without reversing, you will quickly evaporate in the blue sky. Also, Man Vs. Missiles also have two blue and light red arrows to indicate items you need to fly to collect. The blue is speed buff items, and the red is protection item buff, which helps you shield once the missile fire you. There are also other items that you can meet at high levels. Man Vs. Missiles bring you the attract gameplay. You must complete all the requirements of the game given in each stage to be able to pass the next stage. Before you even think about completing the task, you must first survive. Man Vs. Missiles have more than 30 levels for you to play. Besides, you can compete with your friends on the game centre. Let them enjoy your flying skills and know who is the best pilot. More specifically, you can collect coins and unlock planes with all sorts of designs, functions in Man Vs. Missiles. In addition to playing to make money, the ads also help you earn quite a diamond. If you are a gamer, you can use your money to buy items in the game. In addition to the planes that can be purchased with coin, there are high-class planes exclusively for VIP owners (A feature must be activated by buying with real money). VIP planes often have special abilities. Note: You can download Man Vs. Missiles MOD to own infinite money quickly, saving you time and effort. Also, the MOD version is VIP activated so you can buy a lot of modern planes. 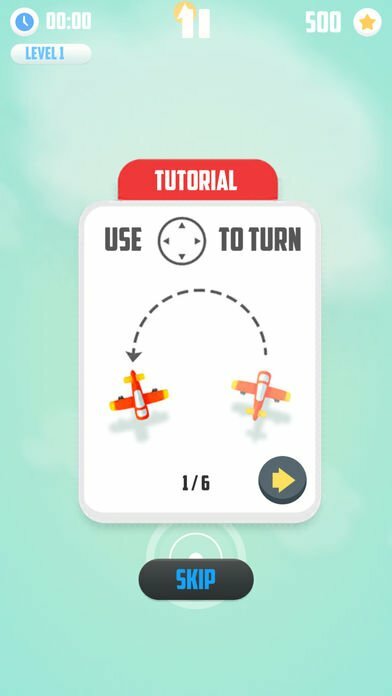 There is a pretty annoying thing when playing Man Vs. Missiles that the advertising is up pretty much. At first, advertising also helps you earn diamonds. However, some ads that when finished watching you will not get anything. I recommend disconnecting the Internet to experience the game perfectly. Besides, I feel that there could be a few improvements to the game. I think that you can try having a hard mode where more missiles come at once. And I do not appreciate the graphics of Man Vs. Missiles. The game has simple 2D graphics, but looks fun and appeals to the player. Visual effects and sound when the plane flies or two missiles hit each other very interesting. But still poor, lack of diversity. Man Vs. Missiles was born for entertainment. A great game with challenging and addictive gameplay. If there’s something missing, it’s music. But that is enough for what we want. And if you’re looking for a simple game to entertain in your spare time, Man Vs. Missiles is a name that is hard to ignore. 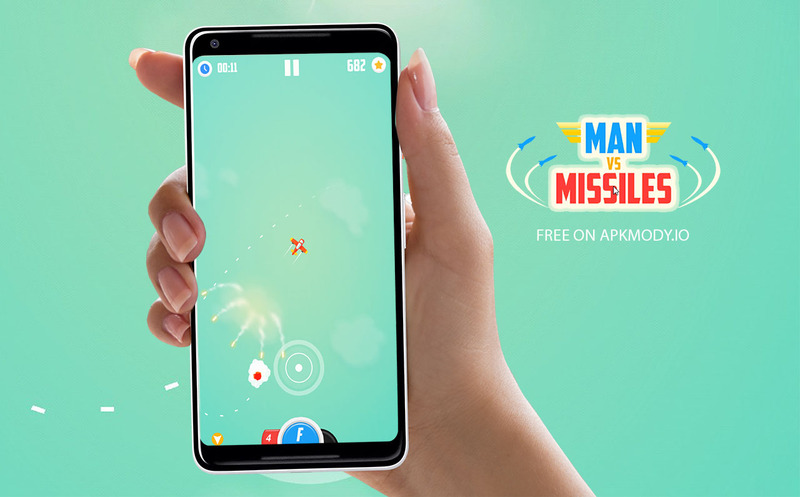 Man Vs. Missiles MOD APK is ready to download! 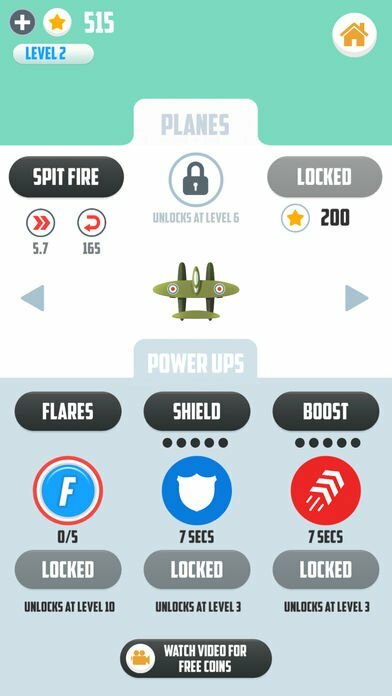 Depending on your needs, you can download Man Vs. Missiles MOD APK or Man Vs. Missiles Original APK. Or install from Google Play / App Store if you want.